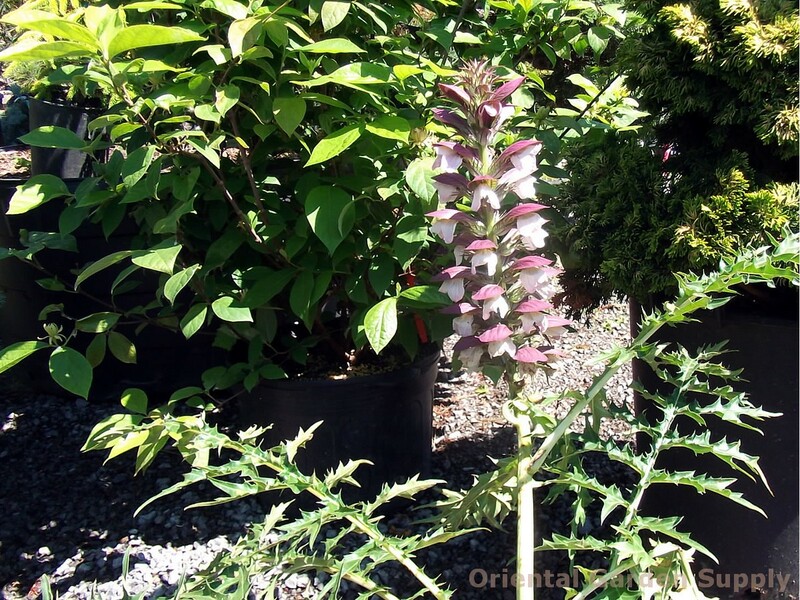 Product Information : Clump forming perennial features pure white, snapdragon-like flowers enclosed by spiny, reddish purple bracts. Deeply cut, glossy, thistle-like leaves. A show-stopper!